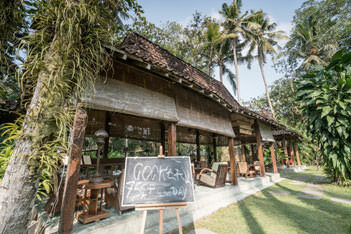 One of our most popular venues for breakfast, lunch or dinner is Café Lotus. What ever time of day, Café Lotus provides a truly glorious, tranquil and magical setting to eat, drink, chat with fellow guests and marvel at the beauty that surrounds you. Be hypnotized as our gentle water fountains tease and play with the rich display of exotic plants and delicately formed lotus flowers. Set in the heart of the resort’s lush gardens, The Orchid Bar is an inviting, relaxing and often vibrant bar and casual eating facility. Tastefully furnished and providing all day service, The Orchid Bar is likely to quickly become a regular haunt for guests who enjoy the social side of d’Omah life.The perfect place to chill, read, enjoy your favourite tipple, take a cup of Java’s famous teas, savour Javanese locally produced coffee or treat yourself to a local beer. Our spacious and welcoming lobby is a hub of activity. Here’s where our friendly, knowledgeable and experienced guest services team are available to arrange, enhance, change or develop every or any aspect of your stay with us. We set out to help you experience the very best that our hotel and our region of Indonesia has to offer. 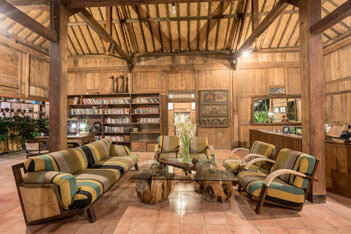 The lobby also provides a natural link between Café Lotus and our guest accommodation. 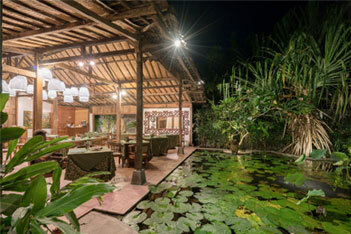 Javanese healing and well-being treatments are legendary. Let our expert therapists sooth and massage away every drop of tension or stress. 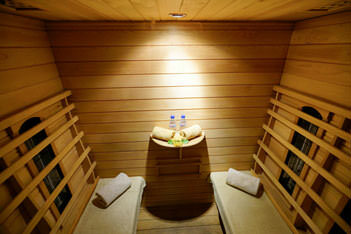 Choose from a range of uplifting, relaxing, rewarding and sensual treatments to calm body and mind. And if you prefer the privacy of a massage in your own room that can also be arranged. The gardens of d’Omah with their exotic plants and flowers and a background of antique traditional buildings provide a unique setting for weddings and other important celebrations. Complimenting this is a menu of delicious food and beverages local and Western which can be geared to suit varying budget requirements. 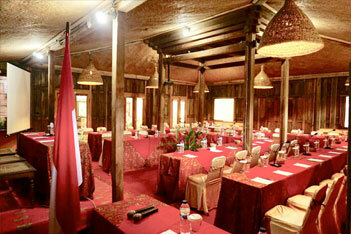 Our recently converted old Javanese meeting hall complete with all up to date equipment provides an ideal venue for meetings upto fifty people.